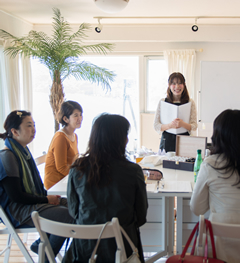 Therapists with full of individuality who reside and work in Japan meet new clients by client introductions, seminars, information exchanges and solo advertising. For therapists in different disciplines coming together and advertising on one platform will be easier to connect with new clients looking for a range of healing possibilities. All members shine in their own field. This is a great opportunity to share and receive information in all forms of therapy , it is important to cooperate to achieve the highest style of excellence for ourselves and our clients. It is important for Hours members to communicate by coming together, sharing skills and ideas through meetings, events, seminars, SNS groups and Facebook. Coming together as a small group of small business owners we can shape the future of our business’ and this group. We can shape the group together, our way. To continually improve our crafts. 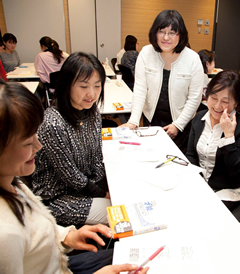 It is important for us as therapists in Japan to come together to help all people from all walks of life, inside and outside of Japan. We must collectively aim to help society and improve the quality of life for those around us. HOurs comes from the words ours (we) and hour (time). They come together to symbolise the time we spent together. ＊If we feel you have an ulterior motive for joining and going against the good of the group you will be asked to leave.